The ladies at SFO waiting for our flight to Denver. Well. I am sitting in a nice little draft house style pub in Denver Colorado drinking an IPA called “Oscar the Grouch”. It’s a bit hoppy but good. 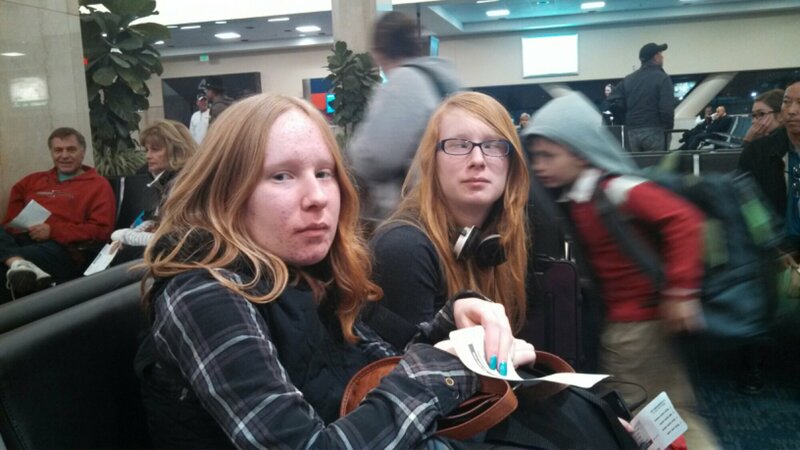 Molly, Nora, and I have come to Denver for the annual supercomputing conference. I think this will be my 7th time attending. Oops. Gotta go. A coworker just showed. Time to visit and smooze. Just a quick message to wish you and your family all the best for Christmas and the New Year. Hope that what ever you decide to do everything works out well for 2014. All the best Catherine.